The KZ driver will race with the factory team for the 2014 season. 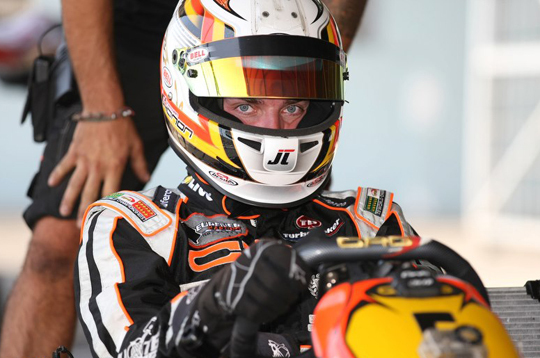 The Praga Kart Racing team is pleased to announce that World Champion driver Jonathan Thonon has joined its official lineup for the 2014 season. Thonon, who competes in the KZ category, will have his first races with the team this year, at the WSK Final Cup in Castelletto and SKUSA Supernationals in Las Vegas. Continuing into 2014, he will partake in all major events with the factory team. Thonon is a solid, professional driver with proven results behind the wheel. He has held the title of CIK-FIA World Champion three times (2011, 2009, 2008), CIK-FIA European Champion in 2008, and was the WSK World and European Champion in 2010. The Praga Kart Racing team and Jonathan Thonon are looking forward to working together during the upcoming season to achieve many successes on the track.